Two new double-wide models have arrived and are ready to view! 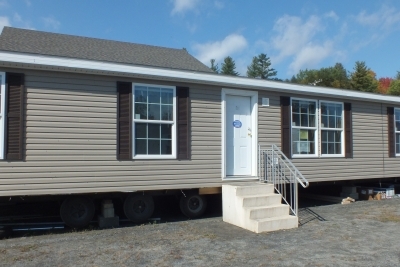 Stock model #303, 26'8" x 56', with 3 bedroom and 2 full bathrooms features drywall throughout, hardwood cabinets, utility room sink with cabinet storage, perimeter heat, and so much more! Stock model #304, 26'8" x 52', with 3 bedroom and 2 full bathrooms features a living room and separate family room, kitchen island with stem lights, accent wall panels, and more! Check out photos of these homes at the links below or stop by our office to tour the homes and speak with a sales consultant.